Conferences are a necessary (sometimes fun) evil as a startup. Lucky for you, we’ve compiled a list of 50 – yes, 50 – events from all over the world that you can check out for networking, pitching and so much more in 2019. This list spans countries, industries and formats, so there’s something for everyone. This list is in chronological order by month, but please note that for conferences with unannounced dates, we’ve added those events under the month they were hosted in 2018 – so these are subject to change. The Consumer Electronics Show is the biggest trade show devoted to all things consumer electronics (surprising, I know). It has served as the proving ground for innovators and breakthrough technologies for 50 years — the place where next-generation innovations are introduced to the marketplace. The event is owned and produced by the Consumer Technology Association. Last year saw more than 182K attendees – so, yeah, it’s huge. This event is about all things growth hacking. 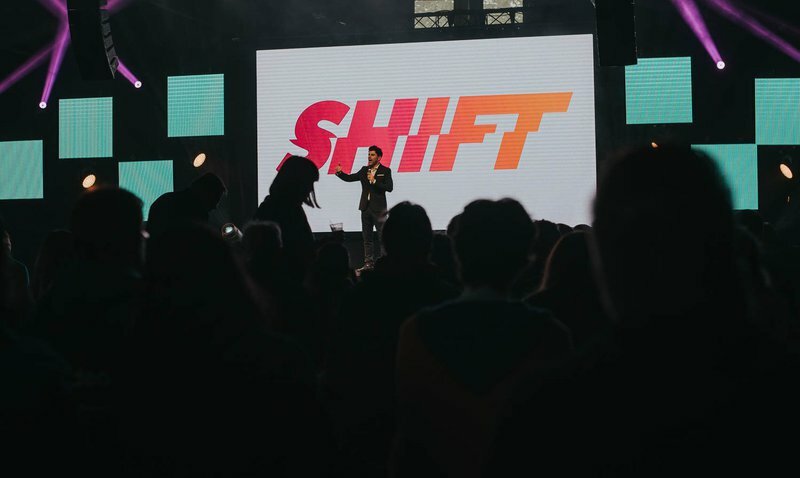 While a 2019 edition hasn’t been announced yet, you can at least get a virtual pass for last year’s event and learn from some of the biggest growth hackers out there, such as the VP of Growth at Drift or the CMO of ClassPass. Let’s hope the 2019 edition is announced soon! SaaStr Annual is described as the largest gathering in the world for B2B software. What makes this event special is the fact that it’s a non-vendor SaaS conference – meaning there are no commercials, no paid content and no boring panels. As they explain, every session is hand-screened and vetted to specifically help you learn. The event promises specific, actionable advice and learnings to help you grow from $0 to $100 million ARR. Not bad. This conference is where Google’s community of startups, partners, investors, thought leaders and more come together for two days of “invaluable education, connection and inspiration.” It includes six stages of content and the opportunity to build relationships with some of the most brilliant minds in tech. There’s something for everyone – whether you just started a company or are looking for a co-founder or are even trying to scale your business. This conference, conducted in German, focuses on hands-on solutions and use cases around digital transformation within leadership, the workplace, business and marketing. It’s an excellent place to network and meet with expert leaders in the German market – especially if your startup is considering to expand there. A pretty self-descriptive conference, this event is all about digital marketing innovation. As time goes on, it becomes more and more crucial for brands to successfully implement meaningful strategies across platforms and devices. This conference will discuss a variety of topics, including content marketing, extending customer lifetime value, growth marketing, SEO and much more. This conference is focused on various topics within the tech world – deeptech, fintech, SaaS, IoT and more. More than 2,000 people attend, as well as more than 350 startups and more than 100 investors. It’s a great place to network as well as learn more in-depth information about these innovative tech topics. This event’s mission is to empower its community by highlighting everything new and innovative in the B2B space. It’s designed to help teams get inspired and tackle the latest trends. 2019’s edition includes discussions around buyer preferences, engagement trends, marketing channels and more. Formerly called Mobile World Congress, MWC Barcelona is the largest mobile event in the world, bringing together innovations and leading tech from more than 2,400 companies, as well as a program that brings together thought leaders and innovators to explore and discuss hot topics in the industry. Basically, it’s huge: they’re anticipating more than 107K attendees in total (very specific of them). Digital Summit offers events all over the US, bringing together leading innovators, thought leaders, startups and more from the digital marketing space. The program is packed with content from leading companies, such as Amazon, Facebook, BuzzFeed, Microsoft and more. This conference is a premier customer success event – you can hear from thought leaders, visionaries and more on the business results of customer success initiatives. With a focus on how your company can accelerate the impact of customer success, you can learn how to drive more intelligent engagement and dive into the latest trends. A 2019 edition has not yet been announced – let’s hope they bring out more information soon! DX3 recently became part of IoT Events and is based on three pillars: marketing, retail and technology, “but with a fresher perspective and energy.” This is one of the largest events for marketers in Canada, and gives C-level executives the opportunity to share insights and for tech leaders to showcase their innovations. The event that almost doesn’t even need an introduction. 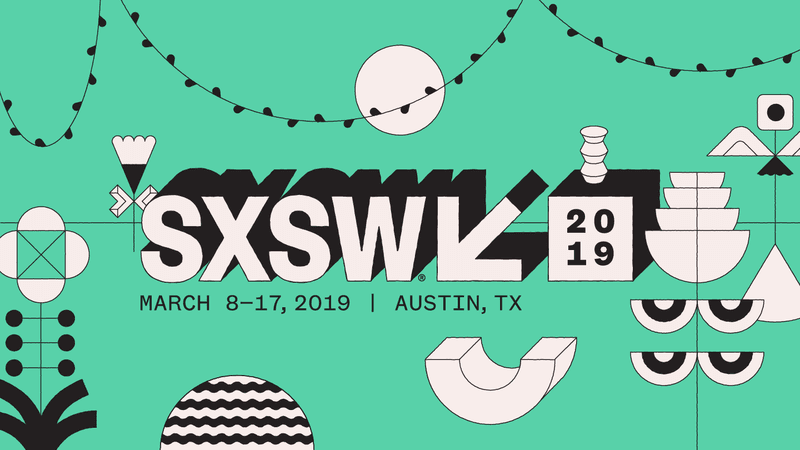 SXSW is a defining event for several industries – film, culture, music, tech and so much more. This conference has 25 tracks filled with keynotes, panels and more, from brilliant people creating incredible things. It’s huge, it’s fun and it’s a cool place to meet some of the most creative minds out there. Social Media Examiner hosts this annual gathering of social media experts. This event is an opportunity to connect with thought leaders and like-minded peers around all things social media. Get the latest advice and learnings and empower yourself with business-building ideas from innovators across industries. This conference is one of the biggest tech-entrepreneurial events in Europe. It’s supported by the European Commission-Startup Europe, the Central American Integration System (SICA), the University of Salamanca and Salamanca City Councyl, and it’s free. It’s a great event to learn more about what’s currently happening in the international tech-entrepreneurial ecosystem. Dublin Tech Summit is relatively new to the conference scene, but has grown to be one of Europe’s largest and fastest-growing tech conferences. This event is two days packed with influential tech leaders and brands coming together for growth, development, knowledge sharing, networking and more. This is an event for those working in content marketing across all industries to come together to network, share knowledge and participate in workshops as well as master classes. It’s a very hands-on event with opportunities to learn from successful leaders in content marketing. While pre-registration for the event won’t open until early 2019, LTV Conference is an event that’s certainly worth considering. In 2018, the event was hosted in London – now, they’re planning to host the event across the pond in New York. This event brings together like-minded SaaS entrepreneurs, companies and investors from all over the world to collaborate and make meaningful connections. 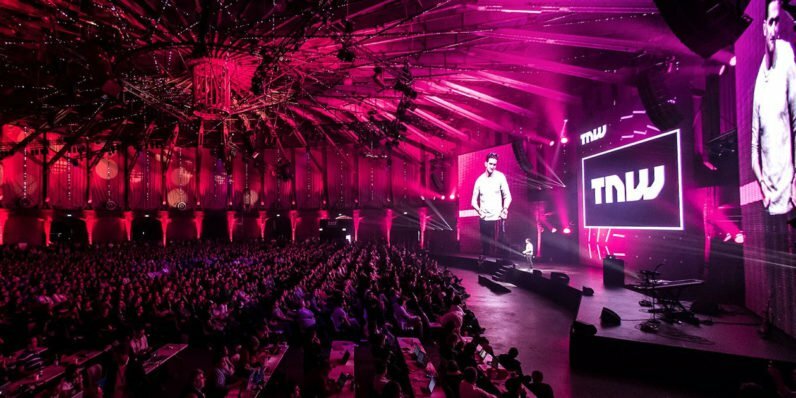 TNW Conference feels more like a festival than a regular tech conference. This two-day event is packed with industry-leading speakers, panel discussions and workshops. It covers a wide variety of tech topics, such as AI, blockchain and much more. Plus, it’s a great way to meet a ton of startups from all over the world. Known as the largest proptech conference in the world, Future:Proptech is celebrating its fifth anniversary edition in 2019. The conference will include big-name speakers, parties, networking opportunities, new conference formats, case studies and much more. More than 2,000 delegates attend the conference, giving the world’s largest real estate companies the opportunity to connect with the proptech ecosystem. Webit is a huge tech conference series with more than 10,000 attendees from all over the world. This event offers great networking opportunities as well as heavy-hitting speakers such as Mark Cuban. The Rise of AI conference has been around for about five years, and continues to be one of the premier AI events out there. With more than 800 AI experts, decision makers and thought leaders in one place, it’s a great place to discuss AI and its impact on society, politics and the economy. There is a pre-event day on May 15 followed by the conference itself on May 16. Latitude59 is a startup and tech event hosted by e-Estonia – Estonia’s digital society initiative. Companies and investors from all over the world come to this event to connect with the Baltic, CEE and Nordic tech ecosystems and take part in the event’s platform of entrepreneurs, investors and leaders to learn, connect and network. VivaTech describes itself as the “world’s rendezvous for startups and leaders to celebrate innovation.” It’s an annual gathering of some of the world’s brightest minds, talents and products. The program offers top speakers, exhibitions, open innovation, live experiences and more. The company behind Web Summit offers an annual event across the pond called Collision, the fastest-growing tech conference in North America. 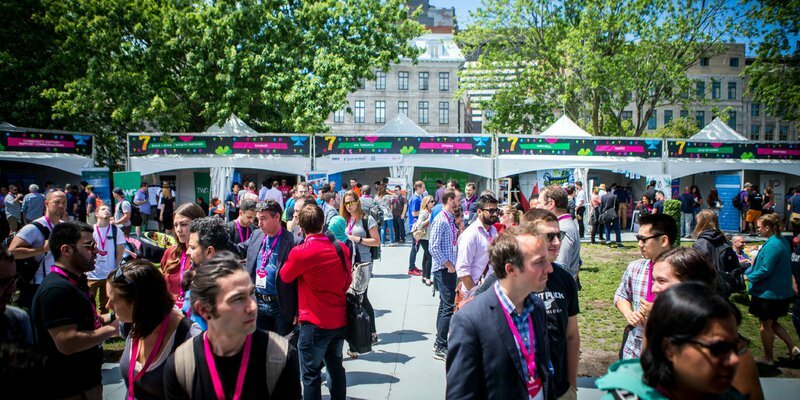 Collision has grown to more than 25,000 attendees over the last five years and is hosting the event in Toronto for the first time, after three years in New Orleans. It’s a huge event, and a good alternative for those who are unable to travel to Lisbon for Web Summit. Europe’s largest fintech event, Money20/20 Europe brings together thought leaders and innovative startups across the financial services and fintech spaces. It’s a must-attend event for startups based in Europe. For those in North America, there is, of course, Money20/20 in Las Vegas as an alternative. Arctic 15 is described as “the most effective matchmaking startup event in the Nordics and Baltics.” The event revolves heavily revolves around making deals and creating an environment for quality networking. The program includes 15 tracks across tech and offers one-on-one meetings in Deal Room, plus side events and workshops. This conference is dedicated to putting the future of tech, business and the knowledge of global leaders under the spotlight. More than 2,200 founders, investors and CEOs of IT and digital companies meet at this event in Romania for a program that includes more than 70 keynotes, panels, workshops and more. This event is hosted by CB Insights and is a gathering of the world’s largest financial institutions, best fintech startups and most active venture investors. It’s a chance to get the latest info and trends on topics such as blockchain, wealthtech, insurance and much more. Launch Festival is the largest startup event in the world. The event had been hosted in San Francisco for 10 years, but then moved to Sydney for its 2018 edition, which is where it will be returning in 2019. The event is free for founders and is an excellent way to network and learn from top leaders at successful startups. 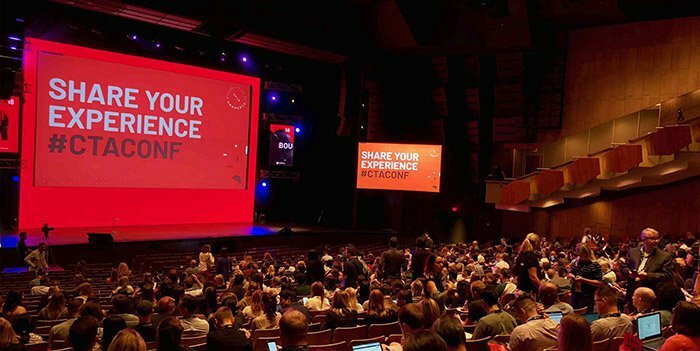 Unbounce’s Call-to-Action Conference provides companies with outstanding speakers that provide valuable case studies, learnings and more for growing your startup. Even if you can’t attend the event itself, I still recommend checking out videos from past speakers – this event really does provide a lot of insights and value. Running Remote is the world’s largest remote work conference. It’s a conference carefully curated to teach you next-level, actionable strategies and tactics you can utilize the very next day to build & scale your remote team. It also provides a networking platform to meet leading tech companies, thought leaders and founders of globally distributed teams. Last year recorded 251 attendees from 35 countries, 73% of who were CEOs/Founders. Tech Open Air is a leading European tech festival. Its mission is to help people future-proof their businesses and their lives. As technology continues to transform the way we work, live and relate, it becomes more and more important to take advantage of the opportunities it’s creating. RISE is the largest tech conference in Asia. Much like Collision, RISE is part of the Web Summit network, and is ideal for those startups interested in learning more about business in Asia. It’s an ideal place to start networking if you’re trying to meet more business connections in Asia and beyond. SaaS Monster is part of RISE, but as it has a specific focus, it’s worth pointing out at a separate event. It is a world-leading event focused on SaaS companies, and it helps connect CIOs and CTOs, buyers and sellers, experts and investors, startups and established companies. This three-day conference, put together by Moz, is full of forward-thinking sessions on SEO, growth marketing, the mobile landscape, analytics and more. It’s a great opportunity to chat with industry leaders, Moz employees and meet like-minded peers. Plus, you can get a hug from their friendly robot, Roger. This event is a music festival-esque conference that brings together, you guessed it, startups! It offers tangible opportunities to make the connections you need as well as world-class content to educate and inspire. The fact that it’s hosted in Montreal is also a nice bonus! Traction Conf promotes the fact that it brings you “actionable strategies and tactics for supercharging your growth” from founders and leaders in innovative companies such as Google, Reddit, Slack, Trello, Box, Bumble and much more. It’s also a great way to network with Fortune 500 leaders, high-growth startup founders, investors and prominent media outlets. SHIFT is a relatively new conference that offers a healthy mix of attendees from the business and tech worlds. They want tech and business to be beneficial, responsible and sustainable. Plus, the event tries to avoid being too big or too small, so that you can talk to everyone you’d like to without getting lost in the mix of things. 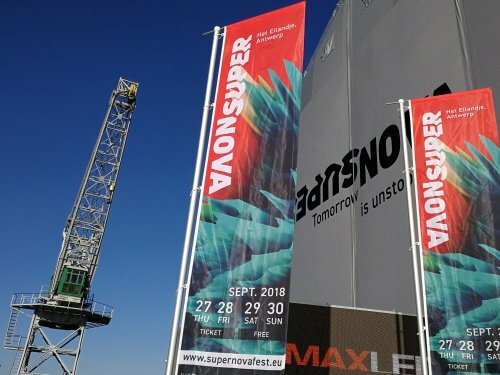 Held right outside of Salesflare HQ, SuperNova is a new conference that launched in September 2018. It brings together thought leaders, investors and European scale-up companies for four days of inspiration, connection and mind-blowing demonstrations from the technological innovations of today and tomorrow. We’re excited to see what they offer in 2019! This conference, organized by Drift, brings together innovators across various industries to discuss business growth and personal growth from unique perspectives. Past editions have been described as a “one-day self-improvement class.” Pre-sale tickets for 2019’s edition should be available in the coming months (you can already pre-register if you want to stay updated). A curated one-day event that brings together world-leading experts to speak all things growth marketing. As they describe it, “100% knowledge – 0% blah blah.” The first speaker has already been announced: Eric Ries, author of The Lean Startup. IT Arena is a three-day event packed with progressive ideas from global change-makers and inspiring thinkers. It’s a place to meet trustworthy partners and learn about bold innovations that can transform businesses. It’s a platform designed for structured and informal networking that leaves space for entertainment. South Summit is a leading event bringing together the most innovative entrepreneurs with the most important international investors and companies interested in improving their competitiveness through innovation. It is usually held annually in Spain and Latin American in October and December, respectively. As they are still wrapping up 2018’s edition, be sure to follow their site for updates on 2019’s events. This talent and tech festival is designed for CEOs, founders and those making great products all over the world. The event showcases people with vision behind the products we use every day while connecting local talent in a festival-like atmosphere. The program includes workshops, side events and even food trucks. Be sure to check out their website for further updates on the 2019 edition. 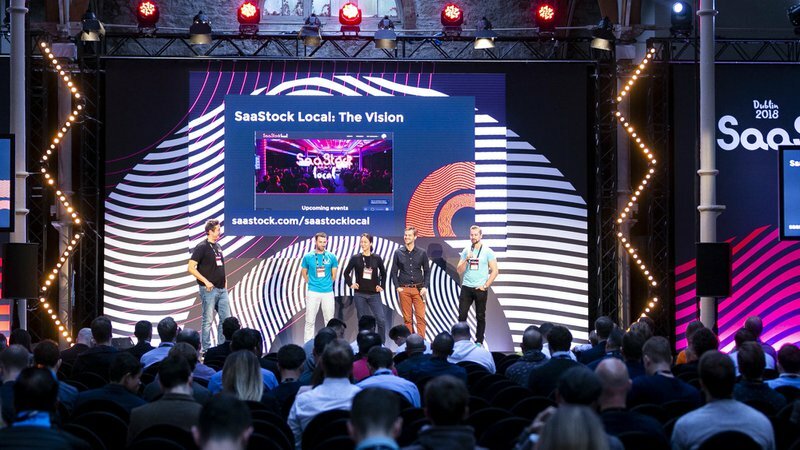 SaaStock is a three-day gathering for the global SaaS community. 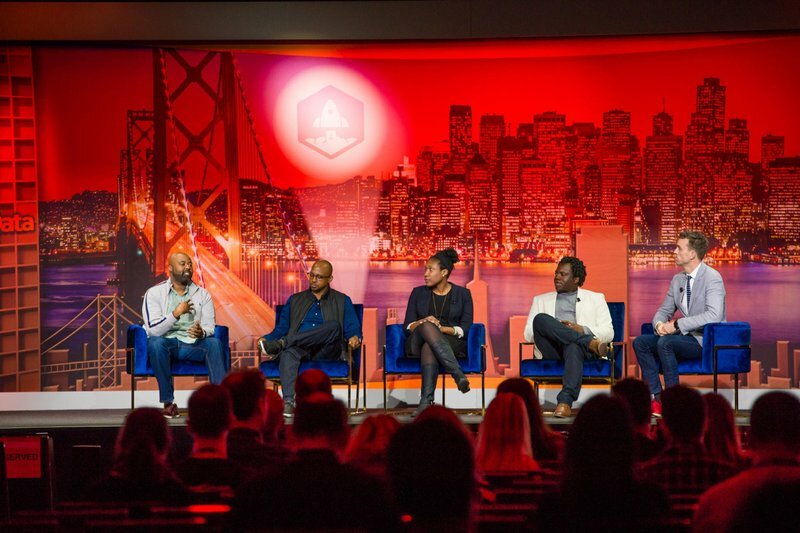 A two-day conference and a one-day accelerator filled with many satellite events, focused on the business of building and scaling B2B SaaS companies. 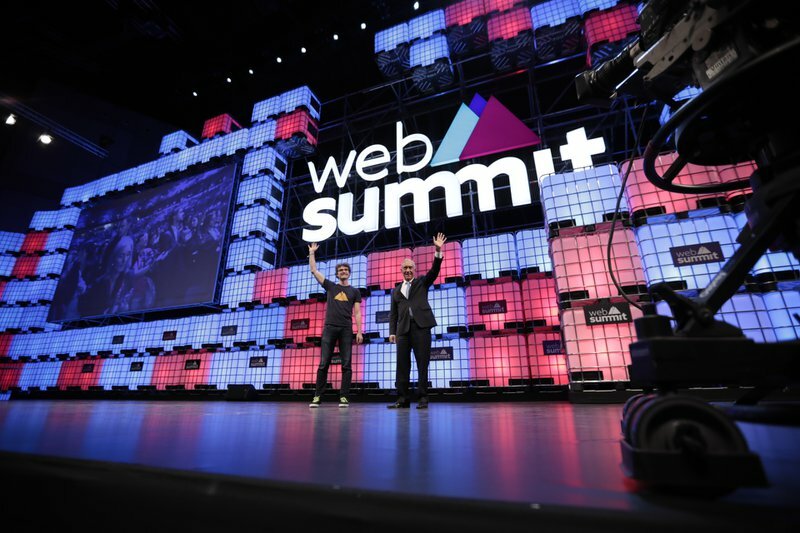 Web Summit is one of the largest tech conferences out there. Packed with speakers, investors, startups and much, much more, this event takes over the city of Lisbon every November and is full of interesting content across a variety of topics and industries. SaaS North is Canada’s only SaaS conference that focuses on scaling up. It’s an event that offers speakers and networking that connect you with opportunities to grow and learn, as well as meet investors, founders and executives. This fun-packed event is held during the darkest time in Helsinki. The conference has a unique energy and enthusiasm and offers a place to facilitate founder and investor meetings and to build a worldwide startup community. 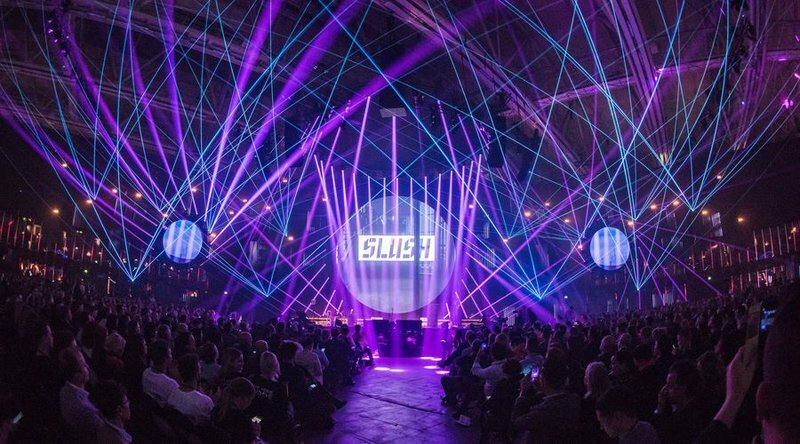 Are you attending Slush’s 2018 edition next month? Let’s meet up! Growth Marketing Conference is a leading, globally focused event for B2B and B2C growth marketers. It hosts world-class thought leaders and workshop instructors to teach more than 1,500 attendees the actionable, no-nonsense growth strategies and tactics that drive rapid, cost-effective and sustainable revenue and user growth. Don’t forget: you can access a Google Sheet with all of the conferences mentioned here. I'm a fintech-turned-SaaS marketing expert who is passionate about design, automation and all things digital. View my full profile here.